Way back in 2011, we told you about Russia’s transition to using Feet instead of Meters, for enroute traffic – above the transition level. 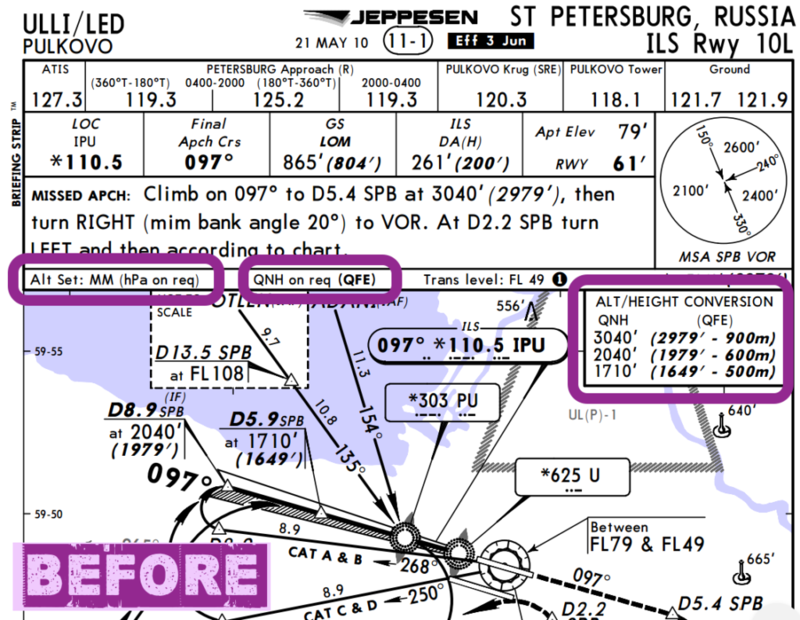 Ever since then, we’ve kind of been waiting for the same change at Russian airports. After the St. Petersburg ‘trial’ is complete, the rest of Russia will slowly follow suit. We don’t yet have a firm date for further airports within Russia, but will update this page when we do (or we’ll tell you in the bulletin). Official Russian announcement (in Russian, but you know what to do). The AIC for ULLI with a summary of the change.